Brisbane Custom Brokers - Free Quote - Brisbane Customs Brokers - Get your free quote today! 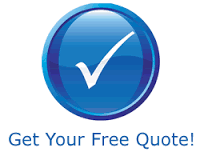 So that we can provide you with a quotation, we need to know a little bit about your business requirements. We ask that you take the time to copmlete as much information about your shipment so we can provide you with a detailed quote. Delivery Requirements: Please indicate for example whether you require a tail lift truck, swing lifter, crane truck, hand unload services etc.